Want to be minutes from the ocean and also enjoy the benefits of a top RV resort? Then Goose Creek RV Resort is the place for you. Located along North Carolina's Crystal Coast, Goose Creek RV Campground is conveniently located on Bogue Sound along the Intracoastal Waterway. This RV park features a relaxing atmosphere and an undisturbed beach location. Your trip to Goose Creek RV Resort will never lack excitement. Stay at the resort for relaxing and socializing or venture out to enjoy local amenities and attractions. 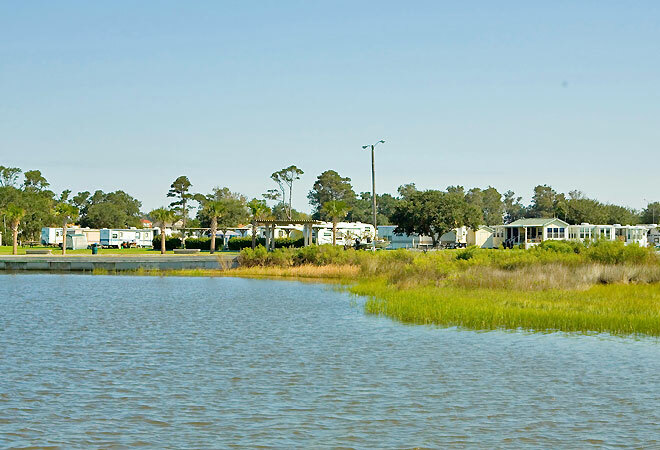 Goose Creek RV Resort borders waters that are known for some of the best saltwater fishing anywhere.